Insurance may be one of the last and most traditional business models to have their world completely rocked by digital disruption. But that rocking chair is moving to and fro furiously now, as new insurance structures emerge that are built from the ground up in cloud-based technology. Suddenly “InsurTech” is a thing, as business start-ups at the intersection of technology and insurance change this traditional industry into something new and different. This article shares some of the latest cloud-based technology models in the insurance sector. Trov raised $39 million last year as an on-demand insurance app. Customers can use the app to turn on or turn off insurance coverage, as they need it. This could come in handy if they are using Turo, a cloud-based technology car service that lets you rent a car from anyone, anywhere. Or, use Trov to insure valuables anytime without the help of a professional insurance agent as the middle man. TheZebra, a digital portal offering insurance comparison, pulled in $17 million in investor dollars last year. On their website, you can punch in a little info, and get back multiple quotes from a variety of car insurance providers. According to Carrier Management, TheZebra says it has provided nearly four million quotes in the past year. It also claims it’s saving drivers an average of about $368 a year. Then there is Amodo, which offers insurance companies smartphone options to connect the consumer with cloud-based technology that monitors their behaviors. Amodo is a telematics application that takes data captured in a connected car and generates insight on driving behavior. It also coaches drivers by using game interfaces on their smart devices to help them drive more safely and effectively. 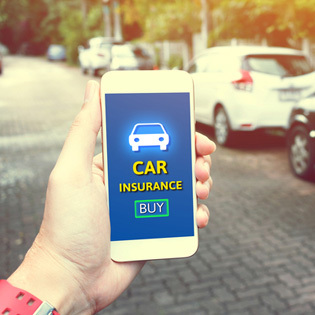 Insurance companies are also capitalizing on the benefits of advanced machine learning and artificial intelligence with BigML, which allows programmers to capitalize on predictive analytics to track trends. Platforms like BigML have the power to change actuarial accounting models that have formed the backbone of the insurance industry for decades. It could also change how insurance companies select market segments and capitalize on growth trends or market reductions. In the healthcare sector, DarioHealth Corp. is expanding coverage to consumers with diabetes this year. The company offers a cloud-based technology mobile app for diabetes sufferers to better manage their insulin levels. They rolled out third-party insurance coverage specifically targeting these audiences last year. In June 2017, they announced an expansion to a market of 10 million Americans suffering from the disease. All of the latest cloud-based technology in insurance, while causing tremendous growth in some areas, is also causing shifts away from traditional models. According to Intelligent Insurer, somewhere between 30 and 40% of traditional insurance company revenues are at risk from technology innovation. Since the rise of cloud-based technology is only predicted to increase, it seems imperative that insurers continue to shift their models in favor of the digital disruptors for the foreseeable future. Request a quote and find out how your small agency can best leverage cloud-based technology.